Matte satin cobalt provides a stark contrast to a polished stair step edge in this gorgeous 9mm comfort fit ring. 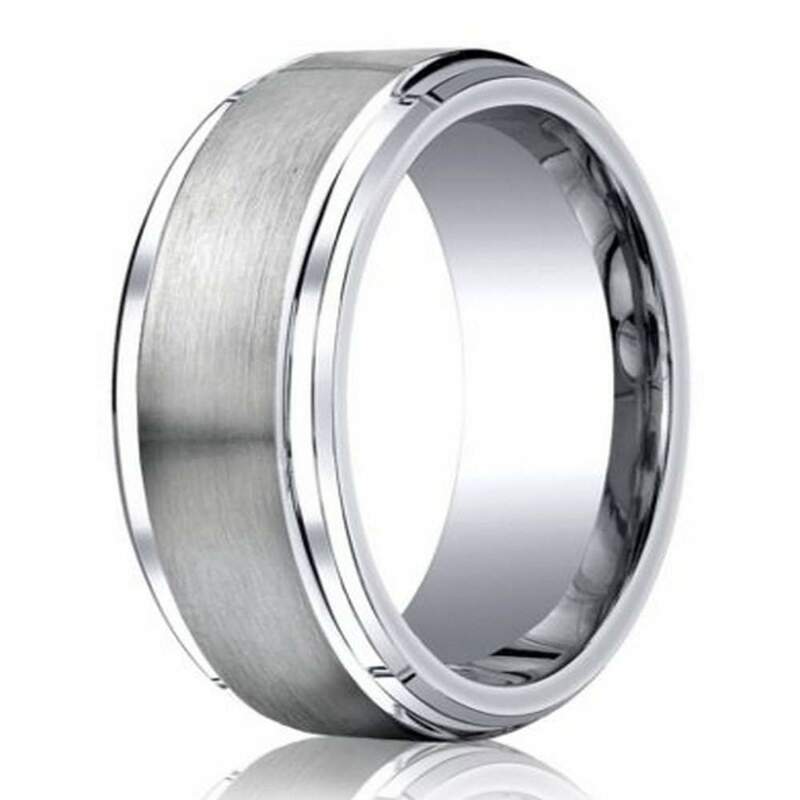 Traditional yet contemporary, this men's cobalt wedding ring is a favorite among men who appreciate a timeless design. Comfort fit rings usually measure 1/2 size smaller due to the additional metal inside the ring. We recommend having your finger measured for a comfort fit ring at your local jewelry store. This ring is very nice... Looks expensive and is very lightweight! My husband loves the ring. It fits perfect and looks like white gold! !